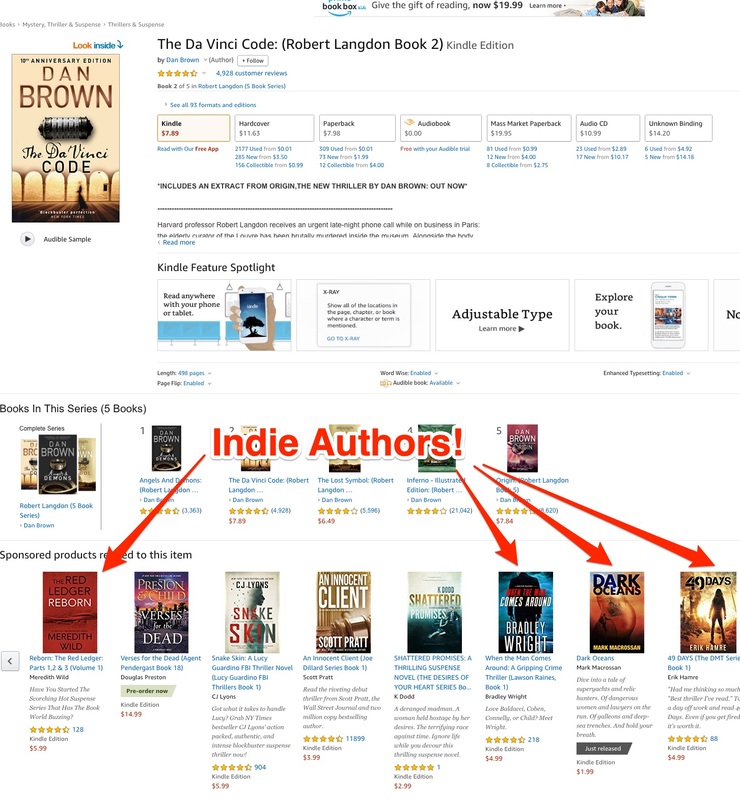 For a couple of weeks now, Amazon has been causing a pretty big stir in the indie-author community. Forums, Facebook groups and discussion boards have since been swamped with enraged and baffled writers. The reason? The site seems to be slowly getting rid of ‘also-boughts’ on book pages. Could this be just a glitch? Could this be them testing new strategies? Or are ‘organic’ recommendations - where Amazon suggests related titles based on your preferences and browsing history - gone for good? All of this does not surprise me. Not one bit. The exact same thing has been happening on other sites (Facebook, first and foremost), for more than 2 years. Other huge properties (Instagram, Pinterest and - crucially - Amazon) are following in the same trend as soon as they roll-out a new advertising platform. Ever heard of the phrase organic reach is dying? I’m sure you have. And this is exactly what’s going on with Amazon. Gone are the days when simply optimising your blurb and subtitle would make your book automatically rank for relevant terms, and thus be found by readers all over the world. Gone are the days when ‘also-boughts’ were the basis for Amazon’s ‘recommendation-engine’, which would suggest your book to a relevant audience who had purchased similar books by similar authors. As a matter of fact, Amazon’s recent experimentation with ‘also-boughts’ has shown that the site is relying more and more on paid suggestions, rather than on ‘natural’ results. In short, organic search is slowly dying. Sad, but unfortunately true: there’s nothing we can do about it, apart from adapting and making the most of the tool we have at our disposal. 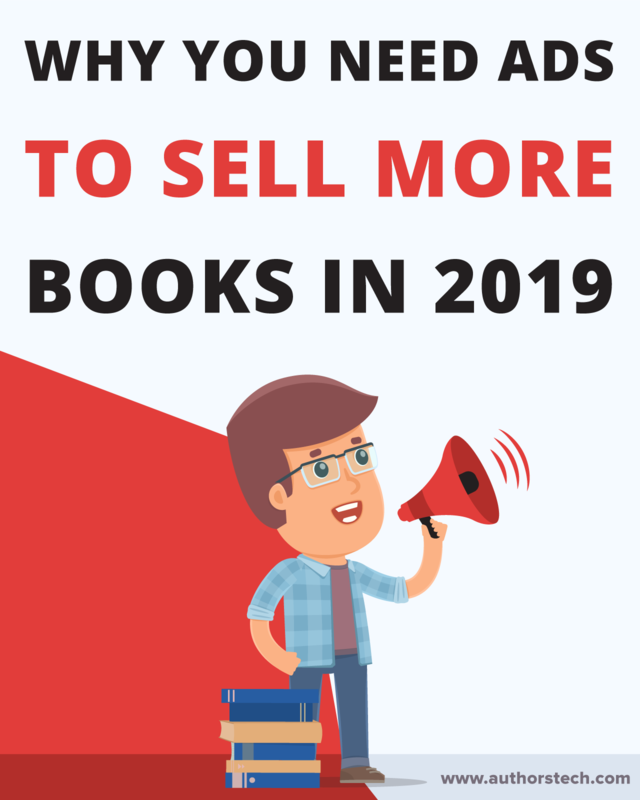 Let’s take a look at exactly why you need paid ads to sell more books in 2019. You might not know this, but hundreds (if not thousands) of books are published on Amazon every day. Every. Single. Day! And over 50% of those ebooks fall into the most popular categories for fiction: Thrillers and Romance. My guess is that over 50% of you reading this post have written in those genres. So the question is: how do you stand out? Catching the eye of your reader in such a crowded market-place might have been quite easy back when e-readers cost upwards of 300$ and there was no such thing as digital bookstores. But now, everyone and their grandmother owns a Kindle (or similar), and the sales of ebooks are slowly beginning to surpass those of ‘traditional’ printed books. The answer? Paid ads, which - if done well - let you stand out and get your work in front of the right readers, just at the right time. Take a look at this famous book's page on Amazon, and the string of books I have highlighted in red. As you can guess from the heading above the titles, those books are 'sponsored', which means authors have paid for them to show up in that prime position. Wouldn't you like your new thriller to be seen by those who are browsing for Lee Child's latest Jack Reacher? You are dying to show your new release to readers who have specifically bought Dan Brown’s Da Vinci Code, since you know your book is going to definitely appeal to them. What are your options? Use relevant keywords in your subtitle and book blurb. BUT: how many people do you think are competing for the keyword Dan Brown (and other relevant ones)? Let me show you a quick search I did inside KDP-Rocket. I'm sorry to spoil the party here, but SEO alone is simply not that effective any more, especially if you're not a household name and are just starting out. On the other hand, this is what the targeting options on platforms like Facebook and BookBub now allow you to do . There are some differences in how granular one can get, but being as laser-focussed as possible has never been easier. Nail your targeting, and your work will be shown to the exact readership you know will enjoy your book, subscribe to your mailing list and ultimately be a lifelong customer! Ads take a lot of testing and tweaking. That’s no secret. Plus, you should steer clear of those who tell you that some platforms are ‘set and forget’. Nothing more further than the truth. But once you’ve done all of your experiments and you’ve found a few campaigns that do work, those sets of ads are something you’ll be able to rely on for quite some time. Again, tweaking is needed on an ongoing basis with all types of ads, but once you’ve stumbled upon target-authors that yield a good ROI, keywords that give you great profit or audiences your books resonates well with, you will be able to rely on those sources of traffic for quite some time. You’ll know the ads continue to bring in new readers (and sales), and you’ll always have a base-line you can count upon going forwards. Need to drive a lot of traffic to your new launch? Need to let the largest-possible audience know about your book that’s now on pre-order? Of course, once again, the answer here is ads. Sure, these platforms are all ‘pay-to-play’, but try also thinking of them as ‘plug-and-play’: a source of traction you can switch on (or off) at will, something organic reach will never be able to replicate. Personally, I am a big proponent of selling your books on all available platforms, or - as indies like to term this - ‘going wide’. Retailers such as Kobo and Apple Books are only a few years old, and the companies behind them are investing increasing amounts of funds on their growth. This can only mean these marketplaces are destined to grow: not taking advantage of them means you’d literally be leaving money on the table. Problem is: how do you market to people who specifically buy books on Apple, for instance? Once again, the answer is paid ads. One simple example will suffice here in making my point. Run a Facebook campaign for your book. 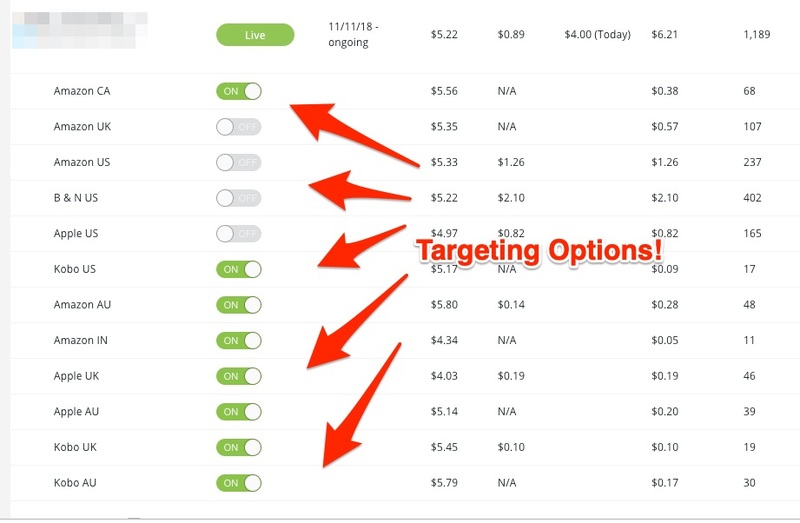 Target similar authors and books, but choose to show the campaigns only to people who use iPads and iPhone (Facebook allows that in their targeting). Simple as that. 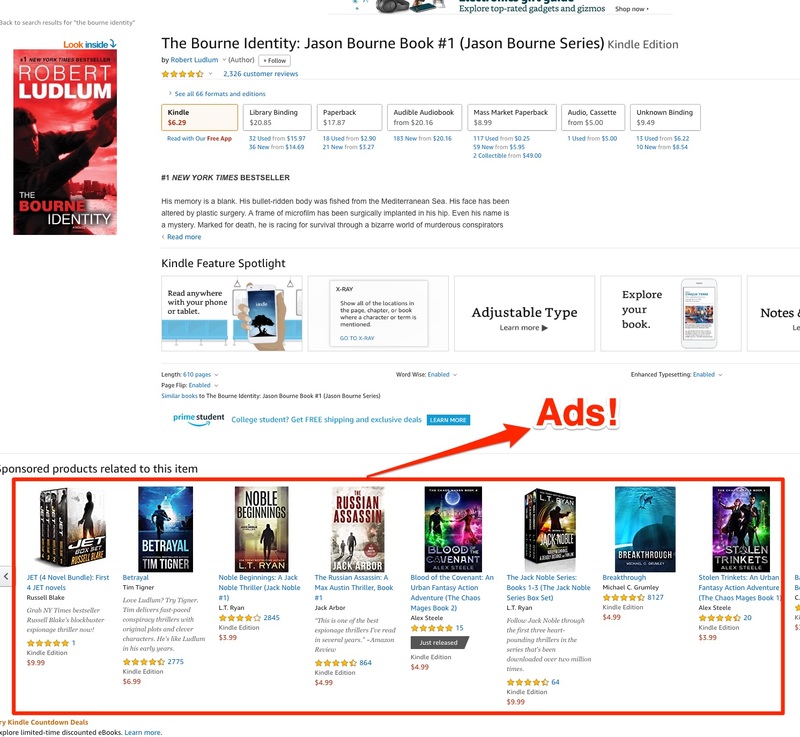 Or, this is how granular you could get with a platform like BookBub ads when it comes to targeting different retailers. The possibilities are endless, as you can see. But that isn't all. 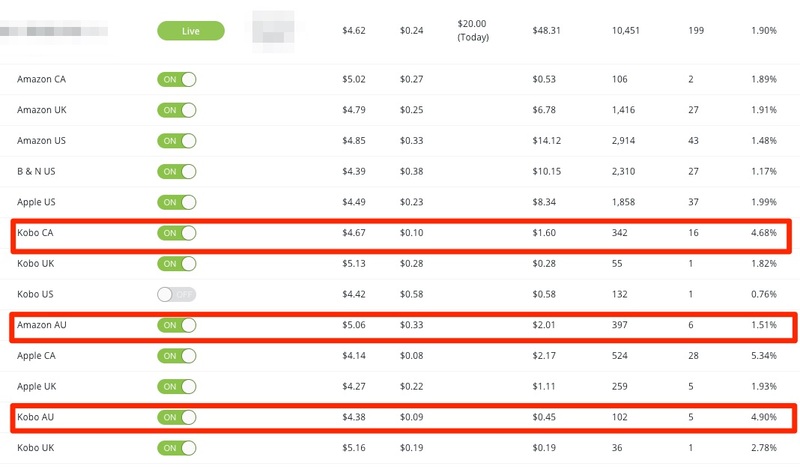 Running ads on different platforms also allows you to understand your readership more, through the insights you get from the campaigns that are actually working. I know, the Amazon Ads dashboard is hopeless to say the least. But think of how granular Facebook Ads can get when it comes to reporting. Or how easy it is for BookBub to show you exactly in which country (and ad platform) your campaigns are getting good click-through rates. Seems like you've got quite a few readers who use Kobo devices, many of which are in Australia and Canada. Did you know that before you ran a few test campaigns? Don’t shy away from data: it should be your friend, and can allow you to make informed decisions in the long term when it comes to your marketing plans and strategies. Before I started running campaigns for it, this book was dying a slow and painful death, with a ranking of over 100,000 and growing. I knew the book was good, especially since it had been received well at launch and had really great (unsolicited) reviews. So, how to resurrect the poor thing? Ads, of course. With just a few campaigns, the title started slowly but steadily climb the charts, and is now sitting at a comfortable 20,000-ish ranking, which means it’s selling around 10 copies a day. Not bad, huh? At this point, you might have guessed which ad-platform the screenshot above was taken from. That’s right, Amazon Ads (formerly known as AMS). Though flawed in so many ways, this platforms simply has to be my favourite when it comes to paid traffic. It’s versatile, its targeting can be extremely accurate (with the right keywords), its capabilities are endless. Plus, the whole system has recently been revamped, meaning Amazon Advertising is definitely here to stay for the long run. The future of book marketing is not organic. It's inevitably paid, and we all need to get to grips with it. Several hints from Amazon such as the disappearance of 'also-boughts' seem to strongly suggest that paid ads will be the way to go in 2019 and beyond. It's not a matter of considering ads. It's thinking about how and when you can master them and take advantage of these platforms before they get too expensive and too competitive! Want ALL of My Keyword-Finding Techniques for Amazon Ads? Check out my FREE "AMS Keyword Playbook" and get started with your first campaign! Can you tell us what book achieved the results under the “My Favorite Ad Platform” heading? Can you also put the headings for the screenshot? I haven’t used Amazon Ads yet and don’t know exactly what the metrics are in the table. 7-ACoS (a metric Amazon invented. It’s the percentage you get if you divide your sales by your spend). Smashwords does this for you automatically.